The Gehl RT185 joins the RT165, RT215 and VT320, bringing the Gehl Pilot Series line up to four pilot-controlled track loader models for North America. 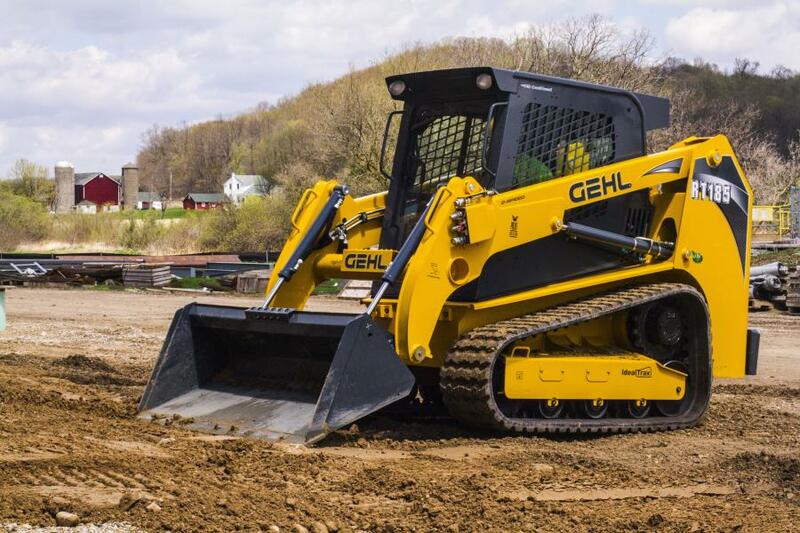 Gehl's RT185 track loader adds an 1,850-lb. capacity machine to its Pilot Series line. The Gehl RT185 joins the RT165, RT215 and VT320, bringing the Gehl Pilot Series line up to four pilot-controlled track loader models for North America. The Gehl RT185 track loader is equipped with a hydraulic pilot control joystick that gives the operator true one-to-one proportional control over the drive system. 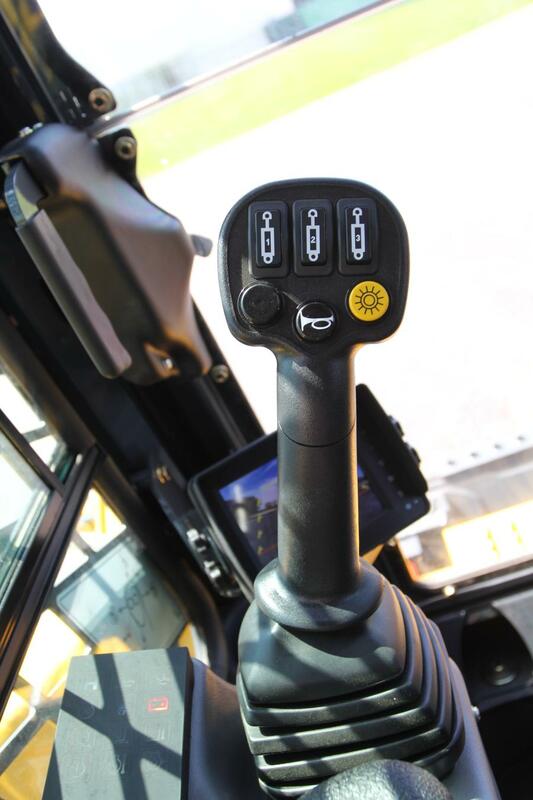 The cab is redesigned, allowing the joystick to be mounted to the seat, which adds legroom and minimizes arm fatigue during operation. A custom-designed undercarriage provides even weight distribution for enhanced stability, grading, tractive effort and ride control. The Gehl RT185 Pilot Series track loader is powered with a 69.9-hp engine and two-speed hydrostatic drive system for fast and efficient movement around the work site. It can lift up to 83 in. (211 cm) and, at 35 percent rated operating capacity, can carry 1,850 lbs. (839 kg) of material. Add in a ground clearance of 12.7 in. (32 cm) and these machines are equipped for any jobsite condition, according to the manufacturer. The RT185 Pilot Series track loader features Gehl's IdealTrax automatic track tensioning system and HydraGlide ride control. IdealTrax saves the owner maintenance and track replacement costs over the life of the machine by ensuring proper tension on the tracks upon engine start up and operation. By eliminating over-tensioning and releasing track tension when the engine is turned off, track life is extended by up to 15 percent and less strain is felt on the sprockets and bearings. IdealTrax eliminates the need for manually tensioning the tracks and makes changes in the field quick and simple. Gehl's HydraGlide system allows the lift arm to "float" when transporting loads, minimizing loss of material while providing a smoother ride. Additional self-leveling lift action keeps the attachment level as the lift arm is raised and lowered. The Gehl RT185 Pilot Series track loader can easily use a variety of attachments with a skid-attach plate and Gehl's All-Tach attachment mounting system. An optional Power-A-Tach system allows the operator to engage and disengage an attachment without leaving the operator station. High-flow auxiliary hydraulics are also an available option, providing hydraulic flows up to 37.4 gallons (141.5 L) per minute. Additional optional features for the Gehl RT185 include a fully integrated rear view back up camera and IdealAccess fold-up door that lets the operator work with the door open or closed even when using a large attachment. For more information, visit gehl.com.